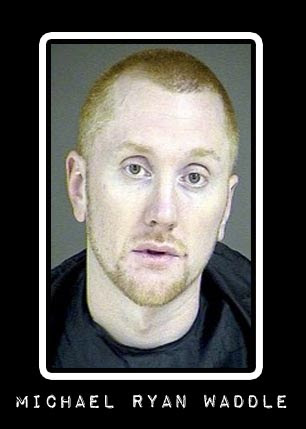 VIRGINIA -- Michael Ryan Waddle, identified by police as the suspect in a brutal beating of a dog that had to be euthanized due to its injuries, is in jail after violating the conditions of his release earlier this week. 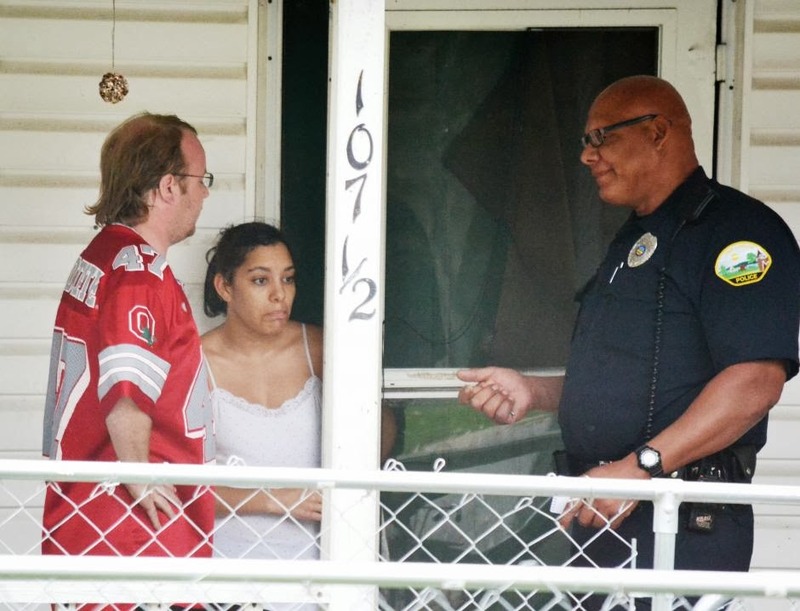 Waddle, 34, was arrested Monday and charged with a single felony count of breaking into the 1601 Fenton Avenue home of Kimberly Paula Hunt. He was released Monday after posting $10,000 secured bond. However, Waddle, a resident of 1055 Dan River Church Road in Halifax, defied a court order barring him from making contact with the victim, confirmed South Boston Police Captain B.K. Lovelace. As a result, Waddle was picked up by police on Wednesday and is currently in jail awaiting his next hearing. No bond has been set for his release. According to a police affidavit that accompanied the search warrant to his Dan River Church Road residence, Waddle was spotted Saturday by a neighbor of Hunt’s, who saw him entering the basement of her Fenton Street home. It was there that Hunt kept the dog while she was out of town. Only later in the evening did she return home to find the pet so severely beaten that one of its eyes was dislodged from the socket. Blood was splattered on the walls of the basement, police noted in the search warrant affidavit. Hunt, who moved to town in August, told police that she and Waddle had been dating but broke up on the day of the incident. She said in a separate interview yesterday that she had no inkling of hostility from Waddle. “We left [it] cordial as far as I know,” she said. The front and back door to her home were locked, she said, but not the basement door. Her pet, Noodles, was almost three years old, a sweet, fat hound, she said. 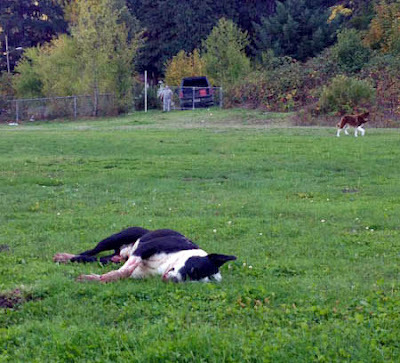 “She used to roll around on the ground like a noodle when she was a puppy,” Hunt said. Hunt said she returned home from Danville Saturday night around 9:30 to 10. After putting up groceries, she went down to the basement, where she discovered the attack. Noodles was too grievously injured to survive the beating. She was put to sleep the next day. While the search warrant cites cruelty to animals as a cause for entry to Waddle’s home, police have not charged him with the animal’s assault. Lovelace noted the investigation into the incident is ongoing. 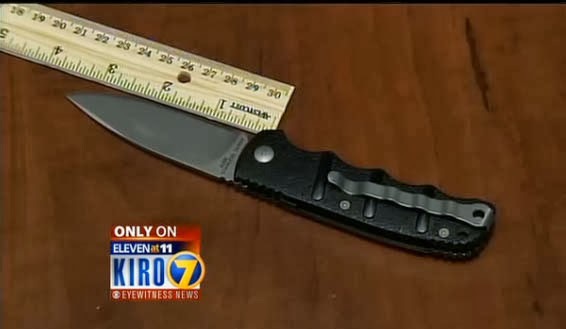 The search warrant authorized police to search for a blunt instrument that could have been used in the attack, and signs of blood stains on objects or clothing. South Boston officers seized a hammer and t-shirt and took blood swab samples from a drill box, a boot and a 2005 Nissan registered to Waddle. Hunt’s Fenton Street neighbor reported seeing the boyfriend enter the home’s basement with a drill or power tool case, but Hunt said yesterday that she did not believe the case was relevant to the investigation. 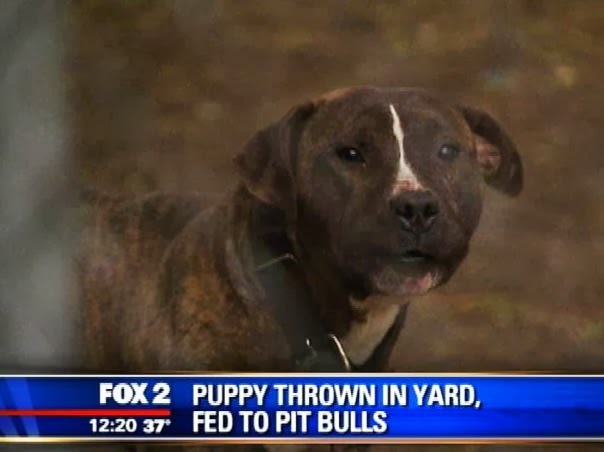 MICHIGAN -- A horrible case of animal cruelty and abuse in Detroit. A puppy is mauled by pit bulls. Neighbors say they tried to call for help but help never arrived. People living in the neighborhood on Detroit's west side are upset and unnerved over what they witnessed. It happened Saturday afternoon. 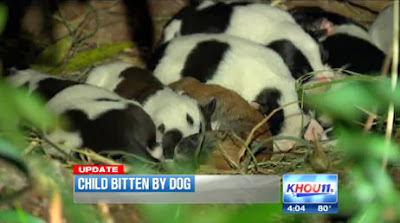 Neighbors say the puppy didn't have a chance in a backyard full of pit bulls. Reginald Bolden had the misfortune of witnessing the attack. "I ain't never seen nothing like that. I got kids that live back here," he told Fox 2. "I'm not trying to have them go through nothing like this." An alley separates his home from the scene where the puppy was killed. Neighbors could hear the dogs cries from inside their house. We talked to another neighbor who called 911 and animal control but says no one responded. We went to the home where the puppy was attacked but no one came to the door. Neighbors believe this has happened before. They hope police will investigate and prevent it from happening again. They fear a child or someone else will get hurt. CALIFORNIA -- A pit bull got loose at a Fremont apartment complex, prompting a wild chase in which one police officer fired a Taser at the animal and another fired a handgun, a police spokeswoman said Tuesday. 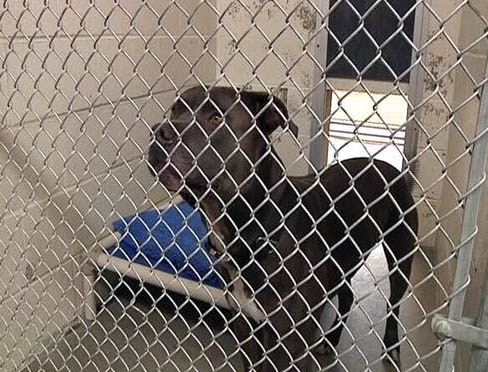 At 7:05 p.m. Saturday, a woman reported to police that a gray pit bull had charged at her as she was walking to her apartment from the parking lot of the complex, located in the 38500 block of Royal Ann Common, Fremont police spokeswoman Geneva Bosques said. The woman said she got back into her car to protect herself from the dog, Bosques said. Three officers responded and found the dog on the north side of the complex, where the animal was acting aggressively, growling and barking, Bosques said. The dog then took off toward the center of the complex. 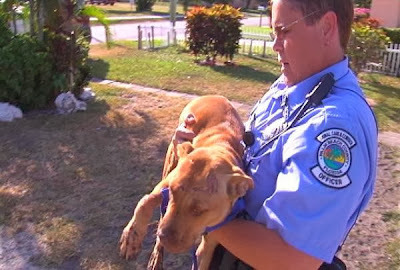 Eventually, one of the officers found the pit bull and tried to capture it with a snare pole. But when it appeared that the dog was about to rush the officer, he dropped the pole and took out his handgun, Bosques said. Another officer then tried to lure the dog toward him, while a third attempted to use a Taser on the dog, she said. The officer fired his Taser, but the dog ran away, and then an officer shot twice at the animal, according to Bosques. The bullets missed the dog and it ran off again. At that point, the dog’s owner arrived at the complex and told police that the animal belonged to his girlfriend’s ex-boyfriend and was being kept in the backyard at their apartment, Bosques said. The dog eventually returned to the yard, where police discovered that the latch to the fence did not work, allowing the dog to get in and out, police said. The owner took the dog to a shelter, and the Fremont Department of Animal Services has placed it under quarantine, Bosques said. The woman who reported the situation told police that the dog had previously attacked a 12-year-old boy and bit his backpack, and had also tried to bite a man. Both residents live in the complex, Bosques said. GEORGIA -- A man facing multiple animal control violations is reaching out to the woman who was attacked by his two dogs. "He's facing a total of eight charges," said Vince Farah of Henry County Animal Care and Control. Channel 2's Craig Lucie was with Farah when he turned in multiple tickets for Michael Thornton at the Stockbridge Municipal Court. Each ticket carries a $1,000 fine or 60 days in jail. "Each of these offenses is times two because there were two pit bulls involved," Farah said. The two pit bull terrier mixes belonged to Thornton. 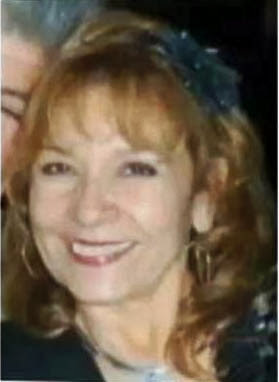 Animal Control officers said they attacked Maria Inez Troncoso as she walked her two dogs down her street in the Windsong Plantation Subdivision. Thornton wasn't home when Lucie knocked on his door, but Farah said that he was very apologetic when the two met Wednesday morning. "He was very cooperative and very polite. He informed me that he has been in touch the family of the victim involved in this and he expresses total concerns of her well-being," Farah said. Atlanta Medical Center officials told Channel 2 Action News doctors have discharged Troncoso from the hospital. Neighbor said they have been in touch with her daughter. "They are just trying to get mom home as soon as possible and trying to schedule plastic surgery and that type of thing," said neighbor Deron Garing. The attack scene was so bloody Thursday, the fire department had to hose down the street. Troncoso was airlifted to the hospital. "We hope she gets back and comfortable walking her dog in the neighborhood again," Garing said. Officers who responded to the attack Thursday shot the two pit bull terrier mixes. They were tested for rabies and returned negative. 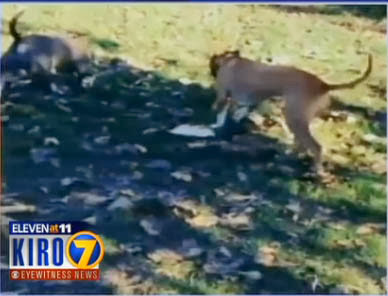 WASHINGTON -- When is a pit bull aggressive? And, if you misjudge a pit bull -- in either direction-- who pays the price? If it's aggressive and mean, a pit bull could cause damage. But pit bull owners say it's possible to misread the dog. The debate over whether pit bulls are dangerous is nothing new, but the discussion took a new turn after what happened at a dog park in Auburn Monday afternoon. Malia Moniz and Nicole Young brought their two pit bulls to Roegner off-leash park. One was an energetic, overgrown puppy named Cain. The two dogs were playing when a man and his English bulldog came into the area. The two women say the man got nervous when Cain and his dog growled and nipped at one another. He picked up his dog and yelled to them to get theirs as Cain started jumping on him. "I don't know if it was like Cain was trying to play still or he was trying to get the dog, but he was jumping at the guy." They insist it was just Cain showing his puppy energy. But then, they say, the man was on top of Cain, and swinging his arm. "We thought he was punching Cain," Nicole said, "but then he stood up he had a knife in his hand." The man had stabbed Cain four times. The dog died minutes later. The women want the man arrested. 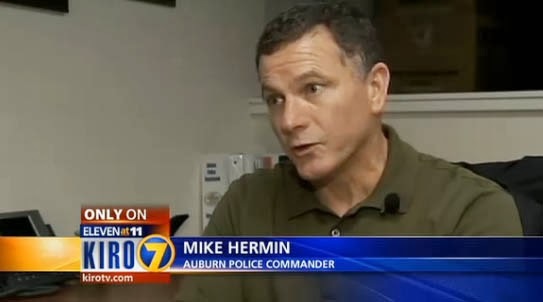 Auburn police say they have spoken to him. "He broke down and he was pretty upset. He said he did not mean to kill the dog," said Commander Mike Hermin of the Auburn Police Department. "He did feel really bad when he found out the dog had died." Commander Hermin says the man appeared to have teeth marks on his hand and arm, but nothing that caused bleeding. The women say he may have gotten it from their playful pup. Other dog owners at the park the next day said they would expect a malicious, angry bite from a pit bull to leave more of a mark than that. Malia and Nicole remember how Cain slowly drained of life after the stabbing. They say he didn't really make a sound, just stopped moving. As they struggled to carry him to their car and get him to a vet, they saw his eyes start to flutter and roll. 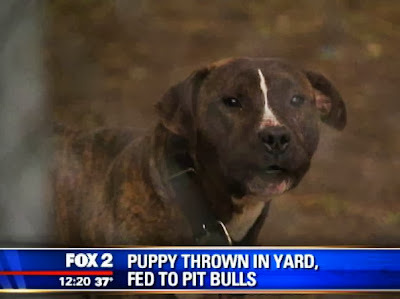 They tear up at the thought, and they said they believe the man overreacted, and that they believe he had such a drastic reaction just because Cain was a pit bull. They believe if Cain would have acted exactly the same but had been a Lab or a retriever or another dog the same size, the man would not have done what he did. "I don't think he would have pulled the knife out," they both said. Police say they don't know what exactly happened, "What he told us - he thought his dog was going to be killed by the pit bull." They are now trying to contact a witness who has not yet returned their calls. Once they reach her, they will decide whether to recommend charges. 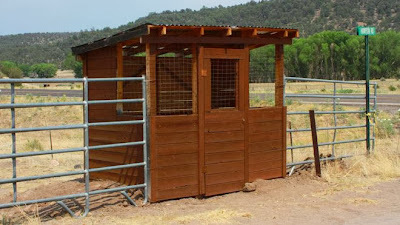 Are ‘kid cages’ protecting N.M. children, or a case of ranchers crying wolf? NEW MEXICO -- A child waiting for a school bus in Reserve, a tiny community in rural New Mexico, may feel a little caged in, perhaps claustrophobic — but that’s precisely the point. About a half-dozen wooden and mesh "kid cages" are located at bus stops in the rural, western New Mexico town, where there have been sightings of the Mexican gray wolf. Some of the 300 or so residents say the shelters could save the life of a child who waits in the predawn hours for a ride to school, but critics say they are part of an effort by ranchers to demonize the animals. The shelters have been in place for about a decade, but their purpose is under renewed scrutiny as the U.S. Fish and Wildlife Service (FWS) proposes to extend Endangered Species Act protections for an estimated 75 Mexican gray wolves in New Mexico and Arizona. Ranchers are opposed to the extension, and claim that the wolves, which prey on livestock but have not been known to attack humans in the area, should be hunted. Earlier this year, according to Menges, a wolf frightened a mother and her young son near a bus stop on the outskirts of town. It was removed by FWS agents, but word of the encounter spread. The cages were installed on orders of Reserve Independent Schools officials, according to Menges. Cindy Shellhorn, principal of Reserve High School, initially told FoxNews.com that the school was “not involved” in the cages and referred additional questions to local community members. Shellhorn later acknowledged that the shelters were constructed under the direction of a previous superintendent and school board. “Some of them are still in place and students are able to access them as shelters from weather, etc., at bus stops,” Shellhorn told FoxNews.com in an email. The cages are unnecessary and are part of a larger “anti-government” fear held by some in the Southwest, according to Eva Sargent, director of Southwest programs for Defenders of Wildlife. Mexican gray wolves, a subspecies of the gray wolf, are the most endangered type of wolf in the world. They typically prey on elk and deer, but are also known to consume rabbits and squirrels as well. Defenders of Wildlife officials say the wolves were bred in captivity and reintroduced to the wild in Arizona beginning in 1998 after being wiped out in the United States. An estimated 75 Mexican wolves now remain in Arizona and New Mexico. In the previous four decades, only three wolf attacks on humans have been documented in North America, Sargent said, and none of those incidents involved Mexican gray wolves. Furthermore, those attacks occurred in Canada and Alaska, thousands of miles away from Catron County’s kid cages. “The thing you have to balance is the small number of wolves with the need to recover wolves,” Sargent said when asked how best to balance public safety and the livelihood of the wild animals. Additional protections being sought by FWS officials under the Endangered Species Act make it illegal to kill wolves in most instances and would significantly expand the overall area where wolves can run without interference. FWS officials, meanwhile, declined to comment on the shelters when contacted by FoxNews.com. “The Service has not been involved with [the community] regarding this issue,”a spokesman wrote in an email. David Spady, state director of Americans for Prosperity in California, said he first learned of the cages during conversations with Catron County police officials and later profiled them in his documentary film, “Wolves in Government Clothing,” which draws parallels between the animals and a rampant federal government. Caren Cowan, executive director of the New Mexico Cattle Growers’ Association, said the Mexican gray wolves are particularly problematic because those that remain were bred in captivity and then reintroduced into the wild — making them unafraid of people or structures. MONTANA -- Montana Fish, Wildlife and Parks wardens are hoping for some help from the public in tracking down the poacher responsible for killing a moose along Schwartz Creek Road. 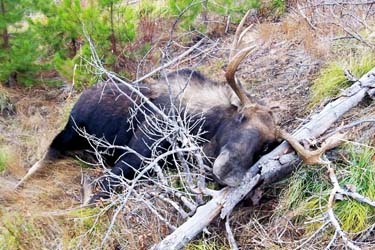 Jaquith believes the 3- to 4-year-old moose was probably shot late Saturday evening or Sunday morning. “It was just coming into the prime of its life,” he said. Jaquith got the call at about noon from a couple of concerned citizens who spotted the downed moose about 200 yards off Schwartz Creek Road about a mile from the Miller Creek Road intersection. Schwartz Creek Road runs between Miller Creek and Clinton. Jaquith arrived on the scene a couple of hours after receiving the call. It’s something he’s seen before. It’s one of those cases that wardens need help to solve. People might have seen something that didn’t seem quite right. “If they put two and two together and realize they might have some information that would help us, we hope they will make the call,” Jaquith said. People can get onto Schwartz Creek Road from Missoula, Clinton and the Bitterroot Valley. The route is popular during hunting season. Jaquith encourages anyone with information to call 1-800-TIP-MONT (1-800-847-6668). 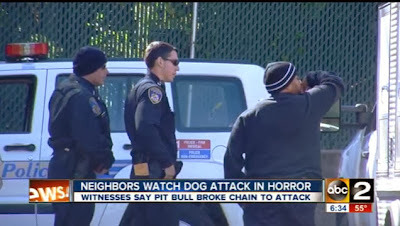 WASHINGTON DC -- A D.C. man whose three pit bulls escaped his Brightwood home and mauled a neighborhood child until a good Samaritan shot the dogs was sentenced to eight days in jail and three years probation. Judge Richard H. Ringell on Monday ordered the animals’ owner, Alan Paige, not to possess any dogs during his three-year unsupervised probation after hearing prior complaints had been made about animals in his care. The sentencing closes the book on a controversial incident that had gun rights advocates up in arms. In January, 12-year-old Jayeon Simon was mauled by the three pit bulls as he rode his bike through his Northwest D.C. neighborhood. Neighbor Benjamin Srigley saw the attack and, alongside a D.C. police officer, used his Ruger 9 mm pistol to shoot the dogs in an effort to save the boy. Jayeon, who suffered several bites, was hit in the ankle by the gunfire and had to undergo multiple surgeries as a result, prosecutor Brittany Keil of the Office of the Attorney General said. The three dogs were killed. Mr. Srigley subsequently faced charges for possessing an unregistered firearm, but prosecutors agreed not to go forward with the case as long as he paid a $1,000 fine and stayed out of trouble. The charges were dropped in July. At the Monday sentencing in D.C. Superior Court, Ms. Keil said neighbors had previously complained that Mr. Paige’s dogs ran freely through the neighborhood. An animal control officer had previously met with Mr. Paige to check on the care and welfare of his dogs after one of his animals was mauled so badly by another that it had to be euthanized, Ms. Keil said. “Mr. Paige was on notice about the dangerous nature of his dogs,” she said. “They got out. 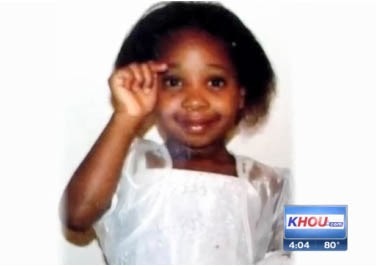 He doesn’t know how they got out,” said his defense attorney, Jennifer Conner. Mr. Paige said the dog that mauled his other dog had been handed over to animal control and was not one the three dogs that got loose and were involved in the attack on the boy. He also said he hadn’t meant to have so many dogs. He said after one got pregnant he found homes for three of the puppies but was left with three others. “This was a very unfortunate situation,” he said of the attack. Judge Ringell said Mr. Paige could serve his eight-day sentence on his days off his job working security at an area bar and also ordered him to pay a $250 fine. Neither Jayeon and his family nor Mr. Srigley were in court for the sentencing Monday. “There is one young boy who is going to live with the horror of what happened to him for a long, long, time,” Judge Ringell said. 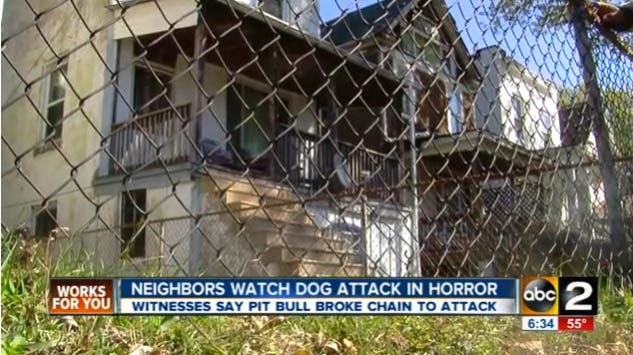 MARYLAND -- Neighbors in a Northwest Baltimore community are shaken up after some of them witnessed what they called a vicious dog attack on Nelson Road on Saturday night. 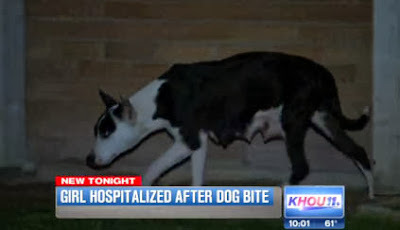 Neighbors say a Pit Bull in the neighborhood escaped its owner’s yard and attacked a smaller dog. Earlene Stron, who lives in the area, said she’s not surprised something like this happened; she said the dog has gotten out before. 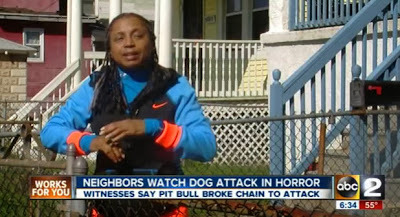 The screaming woman was the owner of the smaller dog, the one the Pit Bull attacked. It was so bad, neighbors said they couldn’t do anything about it until Animal Control arrived, but the smaller dog wasn’t just attacked. Police said they have to follow specific protocol in this sort of Animal Control situation. After this event though, residents are keeping a close eye on their dogs. Michael Moore lives in an apartment complex near the neighborhood, and walks his dog on Nelson Avenue. He said he’s had run-ins with this dog before. Moore and Stron agree that something needs to be done about aggressive dogs getting lose, but what the solution is remains to be seen. GEORGIA -- A pit bull mix lunged at a Macon woman and killed a shih tzu late last week before Bibb County animal control confiscated the dog. She said the pit bull grabbed Lacie by the neck before she could pick her up. The dog then took Lacie back to its yard down the street. Williams said her 8-year-old daughter witnessed the scene from her porch. Macon police reached Nona McNeil, who told them the pit bull belonged to her son who does not live with her. McNeil had Williams’ dead dog in a plastic bag and the pit bull mix in the basement, according to the police report of the incident. The Bibb County Animal Welfare Department took the pit bull, and Macon police booked McNeil after discovering an active contempt of court warrant for her. She was cited for failure to restrain her dog, the report said. Other neighbors witnessed the attack, Williams said, and took up a collection to replace her daughter’s dog. She said they raised more than $250 that the family used to purchase a puppy. Williams said her daughter had nightmares about the attack over the weekend. “My baby is suffering,” she said. The family buried Lacie in the backyard. The attack occurred Friday on “National Pit Bull Awareness Day,” which is billed as “a day of appreciation and education designed to change perceptions and stereotypes about pit bulls and their responsible owners,” according to the website nationalpitbullawarenessday.org. Williams said dog owners need to be careful. “What if it had been my child?” Williams said. MAINE -- A local man accused of having beaten his dog unconscious has been found innocent by a judge, according to attorneys involved in the case. Jeremy Fowler’s defense attorney, Jeffrey Toothaker of Ellsworth, said Monday that a passing motorist thought he saw Fowler beating the dog when, in fact, Fowler was wiping wet paint off the dog’s paws with a wet rag. 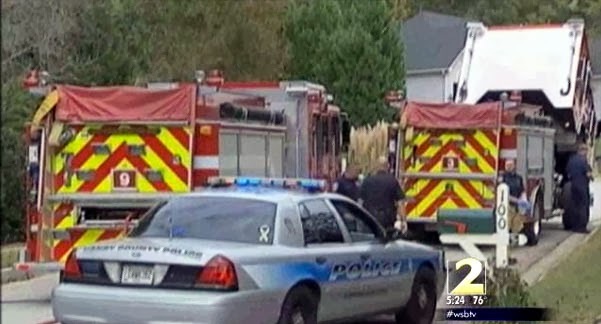 The April 26 incident occurred in a mobile home park off Route 1 in Hancock. Marie Zwicker, the animal control officer for the town of Hancock, initially charged Fowler, 36, with aggravated cruelty to animals, a class C charge punishable by up to five years in prison and a possible fine of up to $5,000. 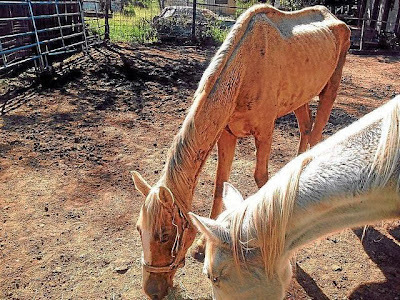 After reviewing the evidence, the Hancock County District Attorney’s office later reduced the charge to a civil cruelty to animals charge, which carries a possible fine of $500 to $2,500 but no jail time. At a bench trial in Ellsworth District Court earlier this month, Justice Ann Murray determined that Fowler was innocent of the charge, Toothaker said. The outcome of the civil case is noted as “not committed” in the court file. 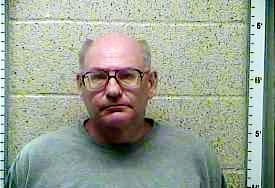 According to Toothaker, Fowler, his friend, and Fowler’s dog got into the friend’s car after painting a mobile home. Fowler’s dog jumped into the car, a Subaru wagon, and into the back of the vehicle, where it stepped into open paint containers. The dog continued to hop around inside, getting paint “all over the place,” Toothaker said. Fowler got back out of the car and grabbed the dog and then, while the dog was laying down on the ground, was using a rag to wipe the dog’s paws as a motorist drove by. A person in the passing car saw Fowler’s arm quickly moving up and down and thought Fowler was punching the animal, the defense attorney said. The dog is deaf and has been well-trained by Fowler, who has had the dog for five or six years, Toothaker said. The dog was not unconscious and later showed no physical signs that it ever had been abused, he said. “He was not beaten at all,” the defense attorney said. William Entwisle, assistant district attorney for Hancock County, prosecuted the case but declined Monday to comment on its outcome. TEXAS -- A horse seized from a Yorktown residence Thursday was euthanized Saturday afternoon. After receiving an anonymous tip, Yorktown officers went to a home in the 200 block of West 2nd Street, where they found two female horses that appeared malnourished, said Police Chief Paul Campos. Dr. Hampton McAda, a veterinarian, was called to the property, where he determined they were not sick but underfed. 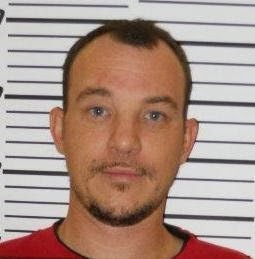 A warrant was signed by DeWitt County Justice of the Peace Bill Robinson. 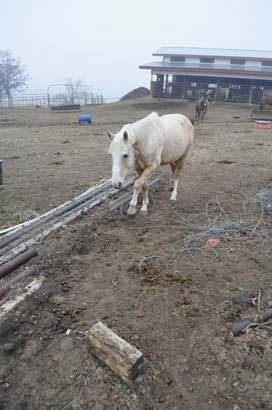 The horses were taken to new living quarters, and Saturday morning, the new caretaker called police when she noticed one of the horses was too sick to stand. After consulting with Dr. Shana Bohac with the Hillcrest Animal Hospital, a decision was made to euthanize the animal, said Sgt. Richard Ramirez. 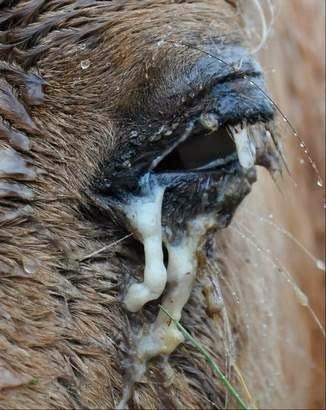 "It was too weak to pick itself up and stand, eat properly or drink water like it needed to," Ramirez said. The horse was put down at 1:30 p.m., and all expenses were taken care of by the city of Yorktown. Ramirez said officials would try to recoup the expenses through restitution fees charged to the owners. 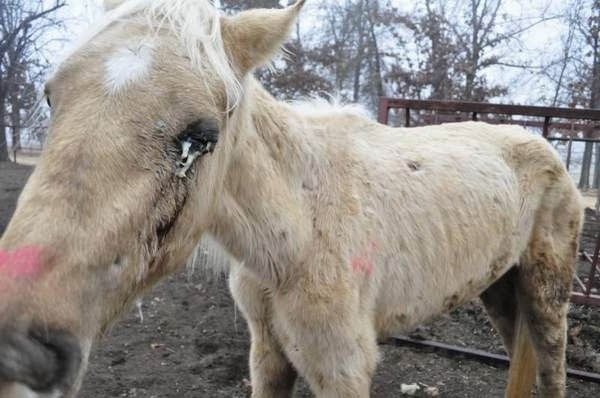 Julian Perez, 61, and Cassandra Perez, 45, who own one of the horses, are expected to be charged with cruelty to animals or livestock, which is a Class A misdemeanor, said Ramirez. The second horse is owned by Gilbert Garcia, who lives near the couple and told officers he left the horse two months ago to be broken in and had not been back to check on the animal. A hearing has been scheduled for Nov. 4 at the Justice of Peace Office, 326 Main St. in Yorktown, in which a judge will determine whether they were cruelly treated. If so, the horses will be auctioned off or taken to a humane society, Ramirez said. Ramirez said he plans to present information to the judge at the hearing to see whether Garcia also was at fault for the abuse. 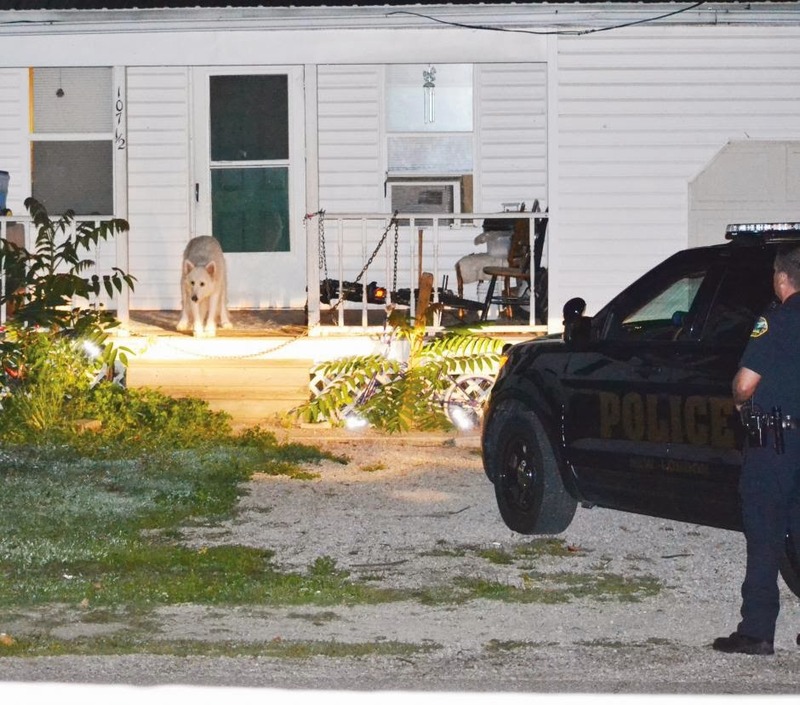 OHIO -- A wolf-hybrid that allegedly bit a 15-year-old New London boy is no longer in the village, police said. However, the victim’s mother said Sunday that isn’t the case. 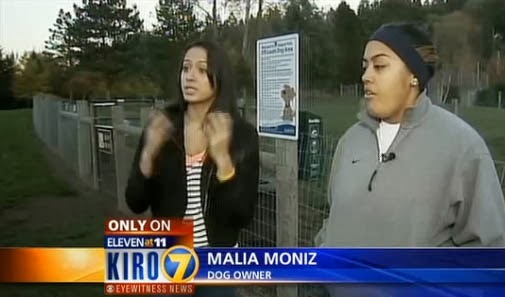 “It’s my understanding from authorities that the dog is no longer in our neighborhood. However, for the past two days we have seen the dog at the residence,” said the New London mother, whose son was bit last month. The biting incident reportedly happened about 9 p.m. Sept. 26 in the 100 block of Third Street in New London. The boy, in a statement to police, said he approached the residence to receive payment for cutting the homeowner’s grass. After being bit, he was taken to the Oberlin emergency room, where he was treated and released. 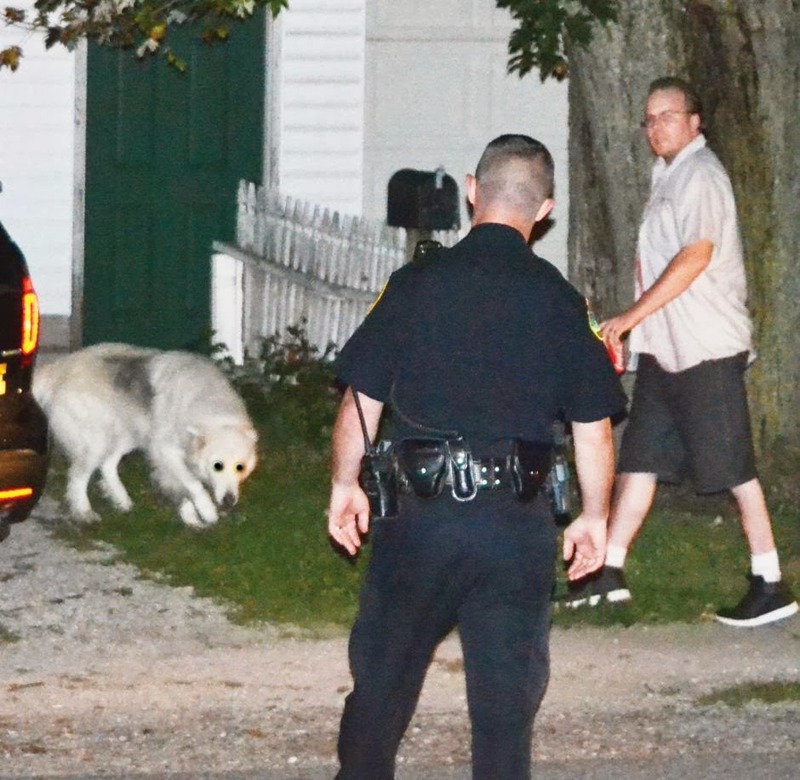 New London Police Chief Mike Marko said the dog’s owner, Michelle Lindenau, has been cited twice for dog at large. FLORIDA -- The sun had been up for just over an hour when Susan Eisenreich stepped out of her van in a Boca Raton neighborhood to face her first challenge of the day: a red fox staring at her from a sidewalk. Someone called Palm Beach County Animal Care and Control to report that the animal had been sprawled in a front yard for hours, hardly lifting its head. Was it hurt? Eisenreich, 50, a seven-year veteran with the department, had to find out. Before she could, the fox bounded off, stopping every few paces to look back at Eisenreich. Then it sprinted away again. After a few minutes, Eisenreich decided the chase was over. She told her boss and suggested setting a trap for it. And she was off again, on her way to check a report of a stray dog hit by a car in Delray Beach. That's how it goes for officers with Palm Beach County Animal Care and Control, whose 10-hour shifts are often spent hustling from one emergency to the next. They have to respond to every report of neglect or cruelty, and also deal with injured animals or animals that injure people. 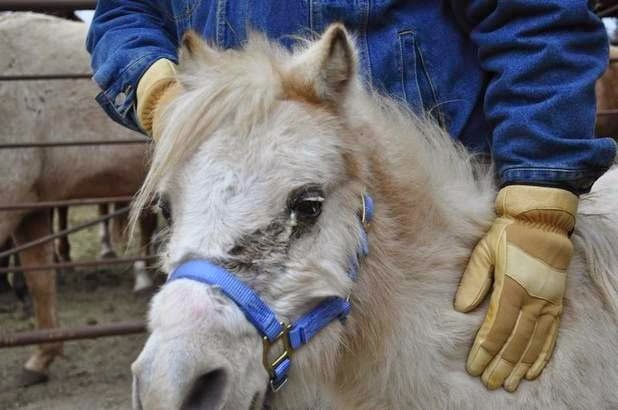 "You never know from day to day what you're going to be doing," said Eisenreich, a longtime animal lover who worked with horses before joining the county squad. On any given day, the 17 officers make it out to about 10 calls, said Capt. Dave Walesky, who oversees them. The most pressing ones include dog bites and injured animals. That puts the dog in Delray at the top of Eisenreich's list. Neighborhood kids found the injured pooch in the grass. Someone put her in a cage and called animal control. Eisenreich guessed the pit bull mix was about 10 months old. The puppy's back left leg was raw, the bottom half of it dangling. She had scratches on her head. At animal control headquarters in West Palm Beach, vetrinarian Francesca Leavengood said it didn't look good. 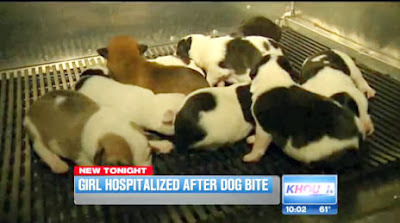 The puppy had severe injuries and no one to pay for the expensive treatments. She predicted they would have to euthanize her by the end of the day to keep her from suffering. "It's hard to look at a dog like this," Eisenreich said while the puppy wagged its tail. "It's hard because they don't ask to be put in this position. 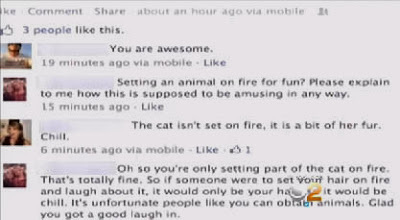 I feel for the animals." "Most of the time I can kind of shut down my emotions, but every once in a while one will sneak past." The animal control officers try not to bring work home with them. But sometimes they do, literally, by volunteering to foster animals waiting to be adopted. Eisenreich already has three dogs at home, but still takes in others and tries not to grow too attached. She left the pit bull puppy with the vet, then headed to her next call, following up a dog bite case in Boynton Beach. 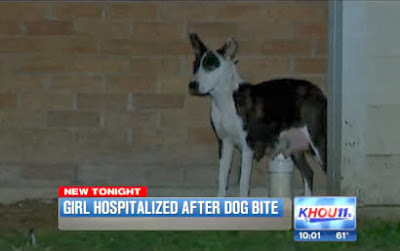 The dog's owner was refusing to quarantine the animal, which is suspected of biting a 3-year-old. When Eisenreich knocked on the door, the only answer was the dog, barking in the window. She taped a $266 citation on the door and left. It sometimes takes 10 to 15 visits before a case is closed because people don't answer their doors or refuse to respond to notices the officers leave behind. The rest of Eisenreich's day is more of that – knocking on doors to no avail. But things end on a positive note: Eisenreich gets word that Palm Beach Animal Hospital decided to rescue the injured pit bull. Although the dog will lose its wounded leg, doctors should she recover fully. And they gave her a name: Isla. "I love when we can save animals," Eisenreich said. MARYLAND -- A three-year-old boy lost part of his nose when he was bitten by a dog Saturday night. Police were called to the 200 block of Glen Road around 6:30 for a report of a dog bite. When officers got there they found the child had been bitten by a neighbor’s labrador / pit bull terrier mix. Police say the boy may have put his face through a hole under the fence when he was bit. 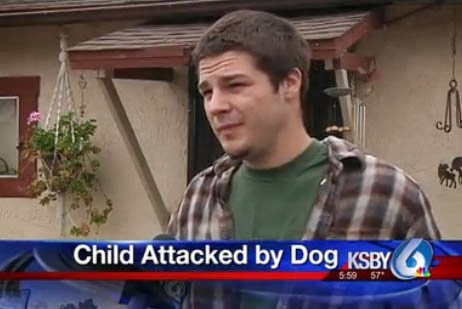 The dog was in his own yard at the time of the incident. The injured child was initially taken to Baltimore Washington Medical Center by his parents. Emergency personnel went back to the house and found part of the boy’s nose and he was taken to Johns Hopkins Pediatric Trauma Center for further treatment. The owners of the dog turned it over to Animal Control who will conduct further investigation into the incident. COLORADO -- A former Penrose resident facing animal cruelty and child abuse charges entered a guilty plea in Fremont County Court Tuesday. 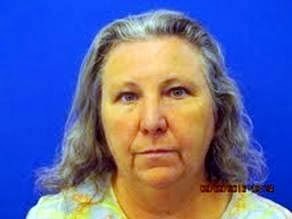 Rhonda Bernard, 57, of Fountain, pleaded guilty to a single child abuse charge and one animal cruelty charge. In exchange for her plea, 49 other animal cruelty charges were dropped. She remains free on $1,500 bail and will return to court Nov. 25 for sentencing in front of County Judge Norm Cooling. According to an affidavit, agents from the Colorado Humane Society and the Dumb Friends League assisted the Fremont County Sheriff’s Office deputies in removing 29 animals from Bernard’s vacant residence in the 200 block of Garden Drive Aug. 22. When first contacted by Sgt. Megan Richards after neighbors reported abandoned animals in the home, Bernard voluntarily took 23 Chihuahuas to the Humane Society of Fremont County Aug. 14.
he home allegedly was littered with trash, food, junk and animal urine and feces, according to sheriff reports, forcing authorities to wear hazardous materials suits and respirators while they worked to remove the remaining animals. ARKANSAS -- The case file at the Fulton County Courthouse says the trial for 51-year-old Rodney Kankey is set to begin in December, some three years after the Viola man was arrested on five felony and 113 misdemeanor charges of animal cruelty. But 16th Judicial District Prosecuting Attorney Don McSpadden, citing what he called a flawed investigation, said it would be difficult to get a conviction and that the charges against Kankey would likely be dropped. 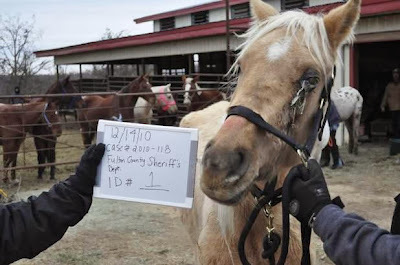 On Dec. 9, 2010, authorities with the Fulton County Sheriff’s Office, assisted by the ASPCA and HSUS, served a search warrant on Kankey’s Viola farm, seizing more than 110 starving, sick and injured horses. Three weeks after the seizure, following an exhaustive investigation, officials brought the five felony and 113 misdemeanor charges against Kankey, who was arrested and taken to the Fulton County jail. He eventually was released after posting a $100,000 bond. For 106 days, the seized horses were housed in the former Mountain Home Sale Barn. 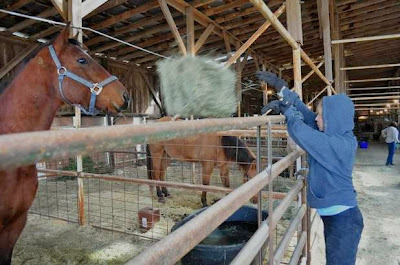 During that time, many local residents brought donations of both equine supplies and cash to the barn. County jail inmates helped volunteers from across the country care for the horses during a cold winter. The horses were then moved to a farm in central Arkansas before being released to horse rescue organizations as the civil and criminal cases tortuously wound their way through the legal system. There are other problems with the case, according to McSpadden. McSpadden also made reference to a problem with one of the investigators. Kankey’s Mountain Home attorney, John O. Russo, also cited problems he believed existed from the beginning of the investigation. “This case occurred before Buck Foley became Sheriff of Fulton County. I believe that if Buck Foley had been Sheriff then, and Deputy Prosecuting Attorney Dwayne Plumlee had been consulted before the issuance of a search warrant in this case, this case would never had gone this far,” Russo said in statement emailed to The Baxter Bulletin on Tuesday. Lance Gray was a deputy with the Fulton County Sheriff’s Office at the time Kankey was arrested. Gray was a deputy for approximately three years prior to the Kankey case. Gray served as the primary law enforcement officer on the case, with help from others. 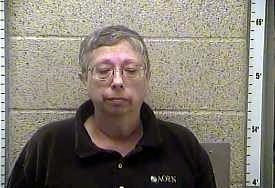 Approximately 18 months after Kankey was arrested, Gray was fired from his job. Gray says to this day he does not know why he was fired. “This was my first animal cruelty case of this magnitude,” Gray said from his Craighead County home Tuesday. 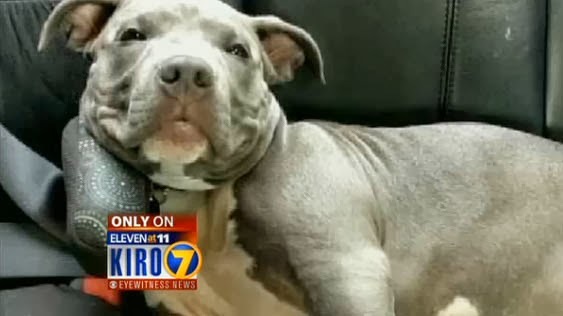 On Monday, Gray contacted a colleague at the Fulton County Sheriff’s Office after hearing a rumor the animal cruelty charges against Kankey were going to be dropped. Gray, who says no one from law enforcement or the prosecutor’s office has contacted him regarding the case in almost two years, said he left all his contact information with the prosecutor’s office Tuesday and told the secretary he would gladly testify. Gray says the case has stuck with him, and he remembers it well. The ASPCA and HSUS issued a joint statement Tuesday regarding the case and the latest development. The press release did not answer any of the four questions directly posed to the organizations. 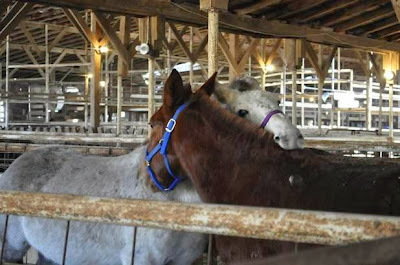 The press release stated the organizations were “disappointed” about charges against Kankey being dismissed, and went on to praise the work they did in rescuing the horses. “For the record, I would like to state that I applaud Don McSpadden’s decision to dismiss the criminal charges against Rodney Kankey. There was a terrible disservice done by the individuals responsible for investigating this case,” Russo said in his email statement. “My client had been arrested on criminal charges alleging he had threatened his wife and was incarcerated from November 25 through December 13, 2010. Those charges were subsequently dismissed. AUSTRALIA -- A three-year-old boy attacked by a dog in Mackay on the weekend was in a critical but stable condition in a Brisbane on Sunday night. The toddler was bitten by a German Shepherd on Saturday night, leaving him with serious injuries. Paramedics were called about 6.45pm to a property in Grant St where they found the boy with a serious neck injury. A Queensland Ambulance Service spokesman said the dog bit the child on the neck and punctured a main artery, causing him to lose a large quantity of blood. The boy was rushed to Mackay Base Hospital before being flown to Brisbane, and he remained in the Mater Children's Hospital where he spent most of yesterday in an operating theatre. It is understood there had been ongoing neighbourhood disputes in the street where the incident occurred. Mackay Regional Council spokesman Ken Furdek said the dog had been taken to a Mackay pound. and would remain there until a police investigation was complete. Police said no criminal charges had been laid and neighbours said officers did a doorknock of the area to interview them about the incident. WASHINGTON -- A large mastiff mauled and bit two siblings and their babysitter Friday afternoon in the 2300 block of Sumner Avenue in Hoquiam. Hoquiam Police Sgt. Jeff Salstrom, who rescued the children, fired a Taser and three shots into the dog in efforts to stop the attack, according to preliminary police reports. A 3-year-old girl, her 8-year-old brother and a 15-year-old were taken to Grays Harbor Community Hospital. The boy's wounds were described at the scene as "extensive." Their current medical conditions were not available. The dog, which belonged to the family, was euthanized by a veterinarian called to the scene, the report said. A 2-year-old brother and his grandmother, also home at the time, were not attacked, police said. The dog, owned by the parents, is "normally kept inside, but somehow escaped the home and possibly became enraged by the children who were jumping on a trampoline in the yard," Chief Jeff Myers said in a news release. Sgt. Salstrom "could hear frantic screaming over the noise of my patrol car, even with my windows up," coming from the backyard of a fenced residence on the corner of 23rd and Sumner shortly after 4 p.m., his preliminary report said. He could not unlatch the gate and jumped the fence. A fawn-colored mastiff was "biting the head of" an 8-year-old boy, as his 3-year-old sister and their 15-year-old babysitter, who was armed with a rake, sought refuge in an open shed. "I yelled at the dog as I ran up and it let go of the (boy's) head but then immediately transitioned its bite to his thigh. 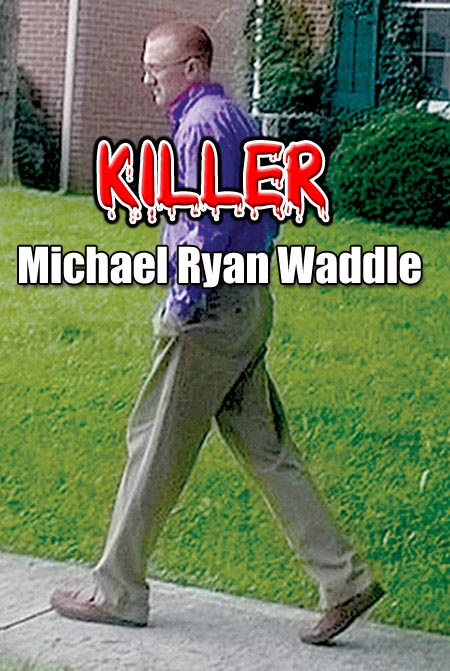 (The boy) appeared to be bleeding profusely from the head and his jeans were covered in blood," Sgt. Salstrom wrote. He drew his Taser because the boy was in the line of fire. "The Taser probes struck the dog causing it to release its bite but (the dog) was not completely immobilized." It ran toward Salstrom and through some bushes. Salstrom wrote he thinks one of the Taser wires may have broken as "it appeared the Taser lost its effectiveness." The dog turned and charged him, "its face covered in blood." Fearing for his safety and that of the children, "I drew my duty weapon and fired one round at the dog" which yelped and turned away. Salstrom grabbed the boy and handed him to his grandmother, who had opened the back door. As he returned to help the girls, "the dog again came at me. I fired a second round at the dog which I believe struck it in the chest. . . The dog turned sideways to me and I fired a third round into its side, behind its right shoulder. . . This caused the dog to briefly stagger before it ran behind the shed." Salstrom called an ambulance and for additional police units. The babysitter "was crying hysterically and pleading for me to help them. She was holding the rake in front of her. (The 3-year-old) appeared to be frozen in fear," still but shaking visibly. The babysitter had been bitten in her groin area, and the small girl bore bite marks on her torso and leg, the preliminary report said. CANADA -- A small dog was taken to a vet with serious injuries and his owner treated for a bite to the hand Saturday after the small animal was attacked by two larger dogs in Mississauga. 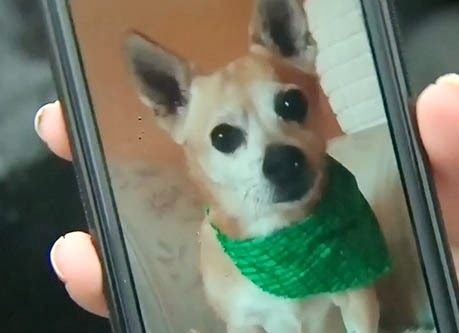 Peel police say a woman was out walking her little dog, Rusty, on Greenbelt Crescent in the Winston Churchill Boulevard and Burnhamthorpe Road area around 2:30 p.m.
Police say that as the pair passed by one home with an open gate, two large Cane Corso dogs came darting out and attacked Rusty, a Chihuahua-Pomeranian mix, grabbing him by the throat. Neighbours came rushing to help and eventually managed to free the little dog. One man who came to help described the scene. Rusty was then taken to a vet with serious injuries, while his owner was treated for minor injuries to her hand. The two large dogs, a male and a female estimated to weigh between 90 and 100 pounds each – ran off after neighbours intervened, but eventually returned to the yard they came from. The dogs were not seized. Peel police were called to the scene, but said it would be up to animal services to press any possible charges. Police say it’s not yet clear whether Rusty will survive. KENTUCKY -- The suspects in an animal cruelty case involving more than 20 Airedale Terriers appeared in district court on Wednesday. 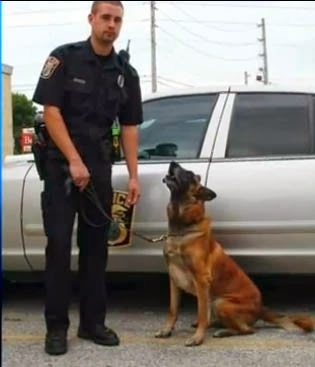 INDIANA -- One of the Brazil Police Department’s two K-9 officers is off the job, at least for now, as authorities look into an accidental bite on an elementary school student last Thursday. 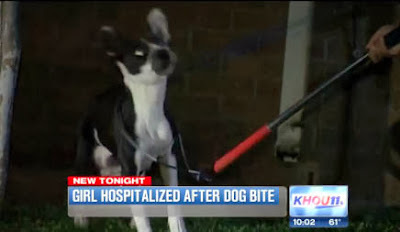 "Our department policy is to take the dog off the street for a few days, make some determinations as to what happened, make sure everything was done properly; have the dog to a veterinarian, make sure we follow the rules like everybody else is supposed to do when a dog bite occurs,” said Clint McQueen, chief of the police department. McQueen said the incident happened inside the courtroom of Judge Blaine Akers during a Red Ribbon Day mock drug sweep involving all elementary school kids from Clay County. The boy bitten was a 5th grader from Jackson Elementary School. "One of the children -- an 11-year-old male -- had moved quickly,” the chief explained. 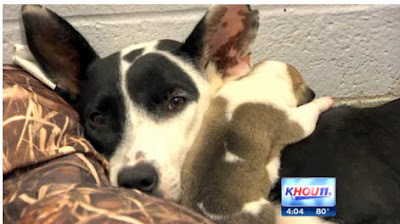 “The dog responded quickly; grabbed the boy's leg, which caused a couple puncture wounds! It was only a few seconds before officers had control of the dog, got him to release the bite. The bite occurred on the boy's left leg, lower -- by the calf area." The unidentified boy was taken to a Brazil hospital, then on to Indianapolis by his parents for further evaluation, according to the chief. CALIFORNIA -- On Friday, October 18 Hoopa Valley Tribal Police responded to a call that a young child was bitten in the face by a pit bull at Pookey’s Park in Hoopa. Upon arrival, officers confirmed there was a dog bite victim, identified the dog with the help of eye witnesses, and killed the dog with a single gunshot. The dog’s owner was not identified and the dog is believed to be a stray. The officers shot the dog in an area of the park that was uninhabited at the time. One of the officers explained that they are left with little choice but to put down dangerous animals because they lack a facility to house such animals. UNITED KINGDOM -- A three year old was bitten by a dog on her way to nursery. Little Annalise Laing was walking to Shining Stars Nursery at Plymouth Marine Academy at around 8am yesterday when the dog, thought to be a Staffordshire bull terrier, bit her face. She was walking with her mum, Lesley Laing, and two sisters, Brooke, aged 13 and 10-year-old Charlie, in a grassy area between Crownhill Road and Wollaton Grove. Lesley, who lives in West Park, said: “We were just walking to school and the dog bit her. “It caught her face near her eye - if it got any closer it would have been near her throat. “All we were doing was our usual walk to school and the dog attacked her. Brave Charlie hit the dog with her school bag to try and get it off her little sister, and Lesley said the dog ripped her coat while she was trying to lift Annalise away. She said: “You hear about it happening but you don’t expect it to be your child. “It was awful. We went to hospital afterwards and when the girls got in they were sick because they were so scared. The dog is believed to be a black Staffordshire bull terrier, and was with its owner, who also had a smaller white dog. The owner of the dog is thought to be in her 60s, with short grey/blonde hair and was wearing a white bodywarmer with jeans and trainers. A police spokesperson said an incident happened between Crownhill Road and Wollaton Grove yesterday, where a child was left with a small cut under their eye following a dog bite. The spokesperson said: “It was a frightening experience for the family and we will speak to the owner to prevent this sort of thing happening again. 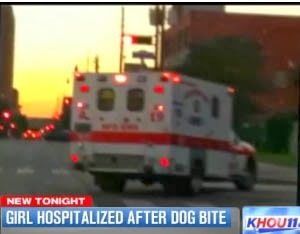 TEXAS -- The dog that bit a child in north Houston Tuesday night will not be euthanized after all. The stray dog and her 10 pups have been quarantined at the City's animal shelter. She is being checked for rabies after being removed from the Clayton Homes complex where she bit 11-year-old Eveline Nicimaye. We are told the 5th grader wanted to see the newborns and pulled on the dog's tail. “She went to touch the baby dogs and she ran away and the dog ran after her,” said Ninga Bire, the victim’s brother. People who live in Clayton Homes said the stray gave birth to her litter in some bushes near the complex’s basketball court. ”The dog before it get pregnant it was cool to everyone, but when it got puppies it started to be mean,” said resident Young Oralis. Nicimaye's family said the girl would not have heard the dog growl because she is deaf. Many people at the complex said they had seen the dog for quite some time. It's estimated that there are as many as 800 thousand stray animals on the streets of Houston. As many as one thousand are euthanized every month. The dog and her litter will be put up for adoption. People have already started calling BARC saying they'd like to give her and her litter a home. CALIFORNIA -- A woman who allegedly lit her cat’s tail on fire — and then posted a pic of it on Facebook — has been arrested. KCAL9′s Tom Wait received a tip about the incident by an Animal Control officer. Another chastised her. “Please explain to me how this is supposed to be amusing in any way,” Katie Lenart wrote. Tom Wait, reporting on a story only seen on CBS2, says Ferreri was arrested by Animal Control officers. 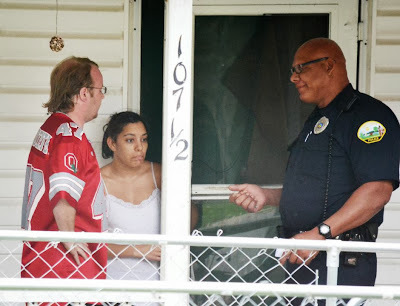 He spoke to the woman’s neighbors who were shocked by the alleged act of cruelty. “They posted it on Facebook, like they think that is cool?,” said a neighbor who only wanted to be identified as Beth. The cat, who is 15, is now being cared for by Animal Control officers in Redlands. Wait stopped by a home where Ferreri is believed to reside. He said a man opened the door to the home but refused to talk to him. The cat is expected to make a full recovery. TEXAS -- An 11-year-old girl was transported to the hospital Tuesday night after police said a stray dog bit her right leg. It happened around 6:30 p.m. in the 1900 block of Runnels in the Clayton Homes housing community near downtown Houston. Officers said the girl was tugging on one of the stray dog’s puppies. That’s when the dog lashed out. The stray, that also lives in the housing community, recently had a litter of at least nine puppies. Eva Gutierrez, a mother of seven, believes it was only a matter of time before something like this happened. “I’ve heard of that dog going after the kids. My kids, when they would go out to throw out the trash, they said the dog would try to come after them,” explained Eva Gutierrez. According to police, the girl who was bit is expected to be okay. Neighbors said there appeared to be deep puncture woods on her leg. She will now likely have to undergo a series of shots. “It’s scary. It’s scary. I wouldn’t want my kid to get bitten. Then you have to take them to the hospital and get rabies shots because you never know what the dog could have or what,” said Gutierrez. Animal control captured the mother dog and her puppies near the basketball courts where the bite happened. Officers said there’s a “good chance” that the stray dog will be put down. “These kids, a bunch of kids, are chasing them and making them mad. It’s terrible,” said neighbor Irene Aleman. Irene Aleman is among the neighbors who believe the dog is not to blame. “The dog is just there with her puppies. 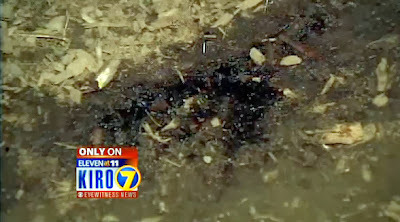 They provoke the dog to run after them and the dog bites them,” said Aleman. “The dog just doesn’t want anyone near her puppies. Aleman and other neighbors said they hoped animal control would “have a heart” and not separate the mother from her young. 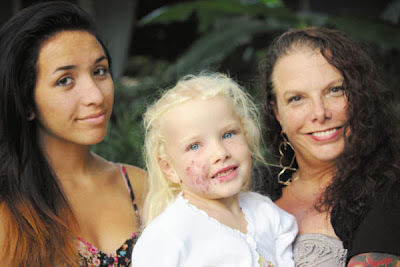 HAWAII -- A toddler escaped serious injury from a dog attack Monday evening, thanks to her teenage sister who grabbed the animal by the neck and jaws, and punched it until it ran away yelping. But little Allie Neeley-Ebesu still received three stitches to her right cheek. It was soon after the girls’ mother, Cindee Neeley, went to work, that the encounter happened. Celeste walked outside their home on Ohu Road in Wailua to take out the trash. Despite Celeste telling Allie to stay inside, the 4-year-old followed her big sister. While Celeste was carrying the trash, a dog was apparently in the bushes near the house. Celeste said she turned and saw the dog snapping at Allie, who fell to the ground. The dog went for Allie’s arm, but Celeste reacted quickly and grabbed the animal by the neck and jaws. 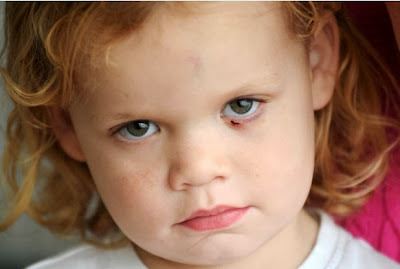 As the dog tried to bite Celeste, she punched it about five times in the head, she said. Meanwhile, the girls’ own dog, a Labrador retriever, barked from inside the house. The attacking dog, at this point whimpering, freed itself from Celeste and ran across Kuamoo Road, disappearing through a makeshift trail in the bushes. Celeste said her little sister usually over-exaggerates when she gets hurt, but not this time. Allie was scared, but Celeste said she calmed her down, and put her on the phone with her mom, who later posted on Facebook how proud she was of her older daughter for her heroic, quick-thinking act. Celeste also took off Allie’s clothes to make sure there were no other injuries. Celeste said she was proud of her younger sister for being brave during the whole ordeal. “She handled it pretty well,” Celeste said. Cindee Neeley said Allie’s godmother, Nicole Lucdarme, lives close by and went to check on the girls. Then the police and paramedics showed up. Once Neeley made it home, she took her daughter to Samuel Mahelona Memorial Hospital for further care. Allie would not let the doctor stitch her cheek, so they had to wrap her in a blanket, and four people had to hold her down. Neeley said she was right by her daughter’s face, and all she could think was, “Oh, my God,” while trying to remain calm. On Tuesday, Allie’s right cheek was still swollen, but she was in good spirits, Neeley said. Celeste said she had never seen the dog before. It had long, wiry hair, was dirty and looked like it was either a stray or a hunting dog, but she couldn’t give a more detailed description because it was dark outside. She said her sister usually tries to pet dogs, and that’s what might have triggered the dog attack. CALIFORNIA -- A three year old boy is recovering at a local hospital after being attacked by a dog on Sunday. The boy was rushed to the hospital with severe injuries to his face after a friend's pit bull attacked. 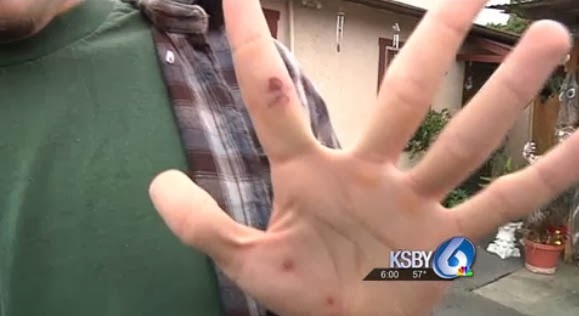 "I was just sitting down and the kid walked up with his hand raised to the dog and the dog bit him in the face," said Cole Birchard, the dog's owner. "As soon as the dog grabbed him on the face, I grabbed ahold of the dog." He says as soon as his five year old pit bull latched on to the child's face, the damage was apparent. The boy and his mother were visiting the family friends when it all happened just before midnight Sunday. "He had sustained injuries to his face, nose and lip," said Birchard. The boy was then rushed to Arroyo Grande Community Hospital. "It's just horrifying all around, I feel bad for everybody," said Birchard. Deputies said when they arrived at the hospital and saw the child, they immediately began searching for the dog and its owner; however, the owner turned over the dog to Animal Services shortly after. 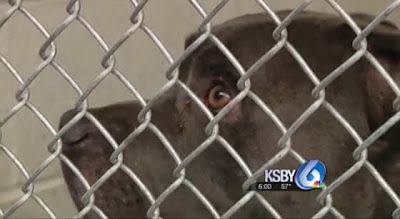 Right now, the dog is quarantined at the San Luis Obispo County Animal Services. According to officials there, what happens to a dog in a situation like this really depends on the circumstances. "Certainly any past history of aggression or bite history problems go into consideration," said Eric Anderson, Director of Animal Services. He says in this case, the dog does not have any, meaning investigators will need to depend on statements from witnesses. "There are potential criminal charges in this case regarding child endangerment on the part of the dog's owner, as well as the mother of the child but that will be determined by the District Attorney's Office," said Tony Cipolla of the San Luis Obispo Sheriff's Office. KSBY reached out to the family of the boy but they could not speak with us Tuesday. They will continue to stay with him while he recovers in the hospital.